Machine tool operators set up, operate and tend various cutting or forming machine tools or robots (e.g. 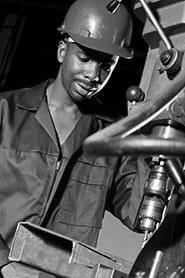 lathes, cutters, shears, borers, millers, grinders, presses, drills, auxiliary machines). Study blueprints, layouts or other instructions to prepare the work. Plan (the sequence of) machine operations. Select and gather appropriate materials, instruments and tools for the operation. Set up, start and operate machines. Adjust machines as necessary (e.g. speed or feed), for example in case of defects or malfunctioning. Check product size and shape using measuring instruments. Make minor repairs and adjustments to machines. Notify supervisors when major service is required. Inspect completed work (e.g. for defects and accuracy), e.g. using rules, templates or other measuring instruments.